Film screenings, gallery talks and art-making workshops. January 14th – 2-4PM – Kimberly Becker will be giving a talk about her “House Dress Project”. 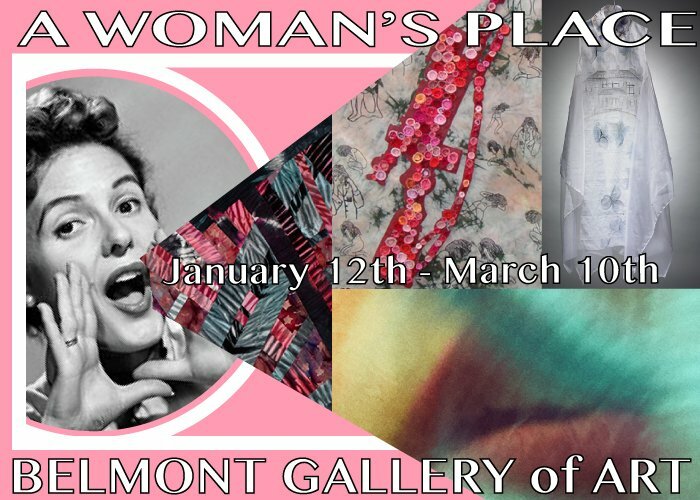 January 28th – 2-4PM– Several of the artists featured in the “A Woman’s Place” show will be discussing their work and answering questions from the audience. February 11th – 2-4PM – Screening of “Who Does She Think She Is”- a film directed by two local directors- Pamela Tanner Boll and Nancy Kennedy. February 25th – 2-4PM – Screening of the documentary “Packed in a Trunk- The Lost Art of Edith Lake Wilkinson”.